WWM is pleased to announce the acquisition of Movie Manager Limited (MM) based in Auckland, New Zealand. Since 2004 MM has been providing websites and a wide range of marketing services to cinemas throughout the Pacific Rim: in New Zealand, Australia, Fiji and Papua New Guinea. WWM extends a very warm welcome to Movie Manager’s cinema customers into the WWM family. Eat-See-Hear, a summer-long outdoor Food and Movie Festival, has engaged WWM to market their festival and movies playing in outdoor venues around metro Los Angeles. If you’re in LA, search for showtimes, grab a dog, bring a blanket, and enjoy the movie! The Santa Rosa Press Democrat just launched WWM’s Hosted Movie Micro Site to power their movie sections on PressDemocrat.com. The "Showtimes Finder", "Trailer Videos", and "Buy Tickets" features are all provided by WWM in one easy-to-use solution. WWM is proud to announce the signing of its first exhibitor customer Down Under! Classic Cinemas, a 3-location circuit in Australia, has contracted for the popular csXpress showtimes management and distribution tool. Highlands Technologies Solutions has chosen WWM to provide additional international showtimes and movie data (Spain and Mexico) for CineCardz - its latest innovation for exhibitors. The CineCardz website will display local showtimes and allow the user to send a personalised message via the cinema screen. WWM has extended its partnership with London-based Yummi Media Group by providing data services for several new markets: Mexico, Netherlands, US, UK & Russia. The Cinime interactive mobile app will now display showtimes and movie data across 11 countries. Long Beach Cinema 4, located in Long Beach, NY recently reopened after a lengthy closure due to Hurricane Sandy and has signed on for WWM’s entire suite of digital marketing services: primary website, mobile website, customized email newsletter program and social media. Welcome back, Long Beach Cinema 4! Introducing WWM’s ultimate "Exhibitor App" which goes far beyond any typical app: Concessions Purchases, Beacon Activated Offers, Geo-targeted Notices, Rewards Program & much more. "It does everything, except show the movie!" For more information: killerapp@westworldmedia.com. Yummi Media Group has chosen WWM to provide movie content for its interactive mobile app called 'Cinime'. Users will be able to unlock bonus movie content, as well as vouchers, prizes & quizzes when they visit participating cinemas in France, Germany, Ireland, China, Singapore and Australia. WWM has partnered with German developer MT Mobile Ticketing to provide local showtimes and movie data for a new cinema booking app called 'Super Popcorn'. The app is feature-rich and includes personalized movie and cinema search. Maluuba, a leading provider of platforms and software to OEMs and handset manufacturers, now offers WWM’s Spanish language version of US Movie Showtimes and Movie Guide meta data. Clearwater Cinema Café in Florida, serving Pinellas County for over 25 years, has recently selected WWM to provide a multitude of new marketing services including Design & Maintenance of a new Primary & Mobile Website and Creation & Maintenance of a Weekly Showtimes Email Newsletter Program. InMoji, the cutting-edge pioneer of emoticon based apps, has added WWM’s Movie Data to their mobile platform and services. Now users of their apps can search for showtimes and buy tickets using InMoji’s emoticon software. CGV Cinemas - the first American branch of the South Korean multiplex chain, CJ CGV - has chosen WWM to coordinate their digital marketing services, contracting for a newly designed website to be available in both English and Korean. Desarrollos Tecnológicos, based in Chile, has contracted for WWM’s Movie Showtimes data for their Website and Mobile App called "TuRadar" – a platform geared toward people who are interested in a user-friendly method to search for Chilean Showtimes and Movie-Related content. The Denver Post, the flagship newspaper of MediaNews Group Inc., has recently launched WWM’s hosted movies platform encompassing Movie Showtimes, Trailers, and Ticketing. Heading to ShowEast in Florida Oct 27-30? Schedule some time with your friends at West World Media today! Review your existing marketing services. Learn about other services WWM offers. Learn how to turn your website traffic into dollars. Have a drink with Scott & Michael! Click here to make an appointment. Maluuba Inc. has added WWM’s movie listings in Japan and Korea to their technology offerings for mobile handset and in-dash solutions. Maluuba is headquartered in Waterloo, Ontario, Canada. MJR Theatres has signed with WWM for the design of a new primary website. A customer since 2005, WWM currently manages MJR's weekly e-mail newsletter program and maintains their primary website, mobile website & social media. MJR Theatres currently operates 9 state-of-the-art theatres in Michigan. WWM has partnered with Berlin-based startup Cinepass, who have launched a new movie ticketing platform for German cinemagoers. Awarded the ‘Best Startup in Europe, 2014’, Cinepass have signed-up for WWM’s Germany showtimes to power its new cinema platform. Gama Technologies is the newest company to choose WWM for their Movie Showtimes data needs. They are developing a Mobile App called "Movie Friends" - an application geared toward people who are interested in a user-friendly method to search for US Showtimes and Movie-Related content. WWM is providing the PostMedia Network with its completely hosted Movie Product, powering PostMedia’s large network of Canadian Newspapers and Websites: Ottawa Citizen, StarPhoenix, The Province, Vancouver Sun, Windsor Star, Calgary Herald, Edmonton Journal, Leader-Post, Montreal Gazette, NationalPost.com and Canada.com. Hubbard Broadcasting, a US television and radio broadcasting corporation based in Minnesota, has launched WWM’s hosted events platform across their stations: Events.kob.com Albuquerque NM, Events.wdio.com Duluth MN, Events.whec.com Rochester NY, Events.wnyt.com Albany NY and Events.kaaltv.com Austin MN. Microsoft/Bing has recently increased their international showtimes scope adding Russia, Mexico, and the Netherlands to the list of countries WWM provides. WWM has extended its relationship with Picturehouse Entertainment for the Monty Python Live show. As part of the marketing campaign, WWM will collect showtimes for the last live reunion show, which will be broadcast simultaneously to 450 UK cinemas and a further 1,500 cinemas around the world. WWM has previously worked with Picturehouse on other live cinema events, including the Bolshoi Ballet. WWM has partnered with Berlin based developer KinoFreunde to provide movie data and local movie showtimes throughout Germany, for a new movie app called 'Cinery'. The iPhone app is feature-rich and includes movie recommendations and local cinema search. Newsday, the USA’s 8th largest newspaper, known as “the voice of Long Island, New York”, reaching 3.5 million people from Manhattan to Montauk, has recently made the switch to WWM for its daily print edition. WWM has partnered with Markco Media on the launch of a new movie discovery app ‘Movieo.’ The app features location-based cinema search, voucher offers and movie information for all titles on release in the US, UK, Ireland, Germany, France Spain & India. Metropolitan Theatres has just signed with WWM for a new primary website design. A customer since 2008, WWM currently manages Metro's weekly e-mail newsletter program and maintains their primary website & Facebook Fan Pages. Metropolitan Theatres currently operates a diverse collection of historic properties and state-of-the-art multiplexes among its 17 theatres in California, Colorado, Idaho, Utah, and British Columbia. The Prospector Theater, a nonprofit movie theater based in Ridgefield, CT (also hometown of WWM), is set to open its doors Summer 2014. Ridgefield’s newest movie theatre has chosen WWM to coordinate their digital marketing services, contracting for a newly-designed website, a new mobile website, customized email newsletter program and social media. 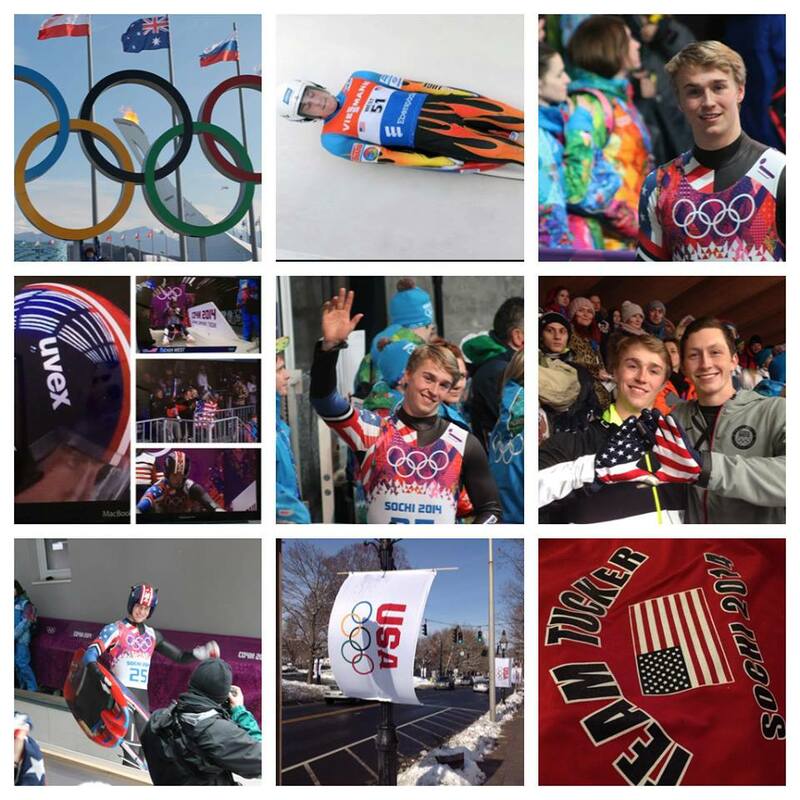 Tucker West, son of WWM’s founder, just returned from the Olympic Games in Sochi, Russia. 18-year-old Tucker is the youngest male luge athlete to ever represent Team USA. Congrats, Tucker, on a successful Olympic debut. Can’t wait for Pyeongchang Korea in 2018! WWM continues to extend its international coverage with the launch of another new country. WWM now collects movie showtimes for Denmark. Warner Bros has been the first to use Danish showtimes as part of their marketing campaign for The Hobbit: The Desolation of Smaug. WWM now collects movie showtimes across 60 countries with further countries launching early 2014. US-based Rovi Data Solutions continues to expand its relationship with WWM, adding Movie Guide content for Japan to existing content provided for North America, Europe, Latin America, Brazil & Russia. Classic Cinemas has just signed with WWM for a new primary website design. A customer since 2007, WWM currently manages Classic's weekly e-mail newsletter program and maintains their primary & mobile websites. Classic Cinemas operates 13 locations, 99 screens in suburban Chicago & northern Illinois. "Entertaining audiences in the Midwest for 90 years," Dickinson Theatres is the most recent Top 50 Giant of Exhibition to select WWM for a multitude of marketing services including: design of a new Primary & Mobile Website, creation & maintenance of a Weekly Showtimes Email Newsletter and creation & maintenance of an Official Facebook Fan Page. Dickinson Theatres operates 210 screens at 18 locations in Arkansas, Arizona, Kansas, Missouri, Nebraska, Oklahoma, and Texas. R/GA Media has contracted with WWM for London showtimes for a pilot program called "Google Outside" - 160 display screens across London (in 100 bus shelters & 60 tube stations) which "anticipate people's needs and make their lives easier." The screens use Google Now technology, used in smartphones, to provide people information about their location, taking into account things like the weather. The screens provide showtimes at nearby cinemas. Toronto-based mobile app Groovie, "a new take on an old-fashioned dinner-and-a-movie" concept, has recently extended its WWM partnership, adding movie showtimes in San Francisco, LA, Chicago & New York City. Sprylogics International, in connection with its recent acquisition of Poynt Inc., has expanded its international coverage, adding WWM's showtimes & movie guide content in the UK, France, Italy, Spain, Germany, Australia & India. Sprylogics, a provider of local mobile solutions for consumers and mobile app providers, is headquartered in Ontario. Yummi Media Group has chosen WWM to provide UK movie content for its new interactive mobile app called 'Cinime'. Users will be able to unlock bonus movie content, as well as vouchers, prizes & quizzes when they visit the cinema. Empower Magazine, based in Houston, Texas, has signed on with WWM to provide Houston-area showtimes and movie information to visitors of their online magazine. Empower Magazine offers readers a wealth of information designed to inspire and uplift the entrepreneurial spirit, and provides business trends, insights and information. Heading to Florida for ShowEast Oct 21-24? Click here to make an appointment with one of WWM's marketing experts: James Devin, Has Harris or Michael Lourie and learn about all WWM's latest marketing innovations. What do these theatres have in common? Ironwood Cinemas in NV, Chatham Orpheum Theater in MA, Camelot Cinemas in SC, Jean Cocteau Cinema in NM, Warwick Cinemas in MA & Denver Film Society in CO. All have just signed on for WWM services to enhance their overall marketing strategy: primary websites, mobile websites, Facebook updating, csXpress, & Email Newsletters. Call or email for more info to add (or begin) one of WWM's customized marketing programs. WWM has partnered with UK-based creative agency Redberry Digital on the launch of a new movie app ‘True Movie Fan.’ Designed for film fans, the app includes movie listings and movie information for all titles on release in the UK & Ireland. InviteUp, based in Los Angeles, has just partnered with WWM for US Showtimes data and Movie Guide data, for a desktop website, mobile website and mobile app. WWM is providing Local Events to the The Arizona Republic and AZCentral.com. The Arizona Republic is Arizona’s largest newspaper, owned by Gannett Company. Cine Papaya, based in Lima, Peru, has chosen WWM to power their Latin American movie portals and applications. ShowBiz Cinemas, operating 5 multiplexes in Texas, is the most recent circuit to select WWM for a multitude of new marketing services including: design & maintenance of a new Primary & Mobile Website, creation & maintenance of a Weekly Showtimes Email Newsletter, creation & maintenance of an Official Facebook Fan Page & creation & maintenance of a Rewards Program. GFR Media, a leading communications media company based in Puerto Rico, has just signed on for WWM's movie showtimes, movie guide, box office data and movie reviews for the print editions, online and mobile sites of El Nuevo Día, Primera Hora and Índice Newspapers. Tickl.me, an app that is "the easiest way to discover, manage and share the events that matter to you," has just contracted with WWM for hyper local event information in the San Francisco Bay Area. Tickl.me will launch initially in the San Francisco Bay Area and expand to many more cities later in 2013. WWM has extended its partnership with New Zealand-based movie portal Flicks by providing showtimes for its new UK website: fliks.co.uk. 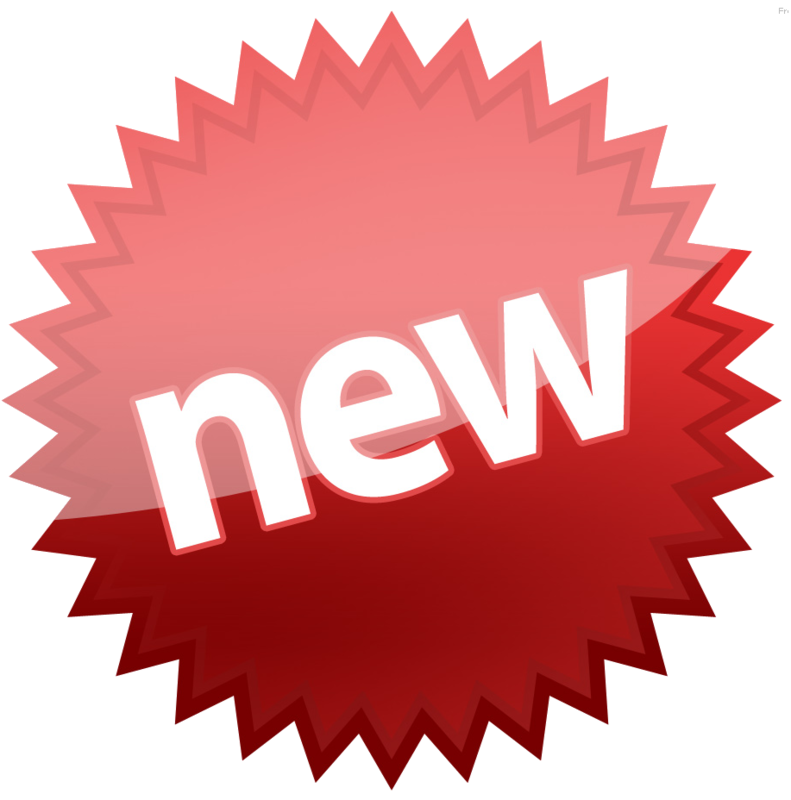 Currently in beta, Fliks will include movie listings and movie information for all titles on current release across the UK. Cinema West is the most recent circuit to choose WWM for a multitude of new marketing services including: design & maintenance of a new Primary & Mobile Website, creation & maintenance of a Weekly Showtimes Email Newsletter and creation of an Official Facebook Fan Page. Cinema West operates 12 locations in CA and ID. German-based marketing agency The White Elephant has chosen WWM to provide German showtimes for the launch of a new tablet application, which includes ‘cinema search’ for individual movie releases. Rentrak UK has selected WWM to provide showtimes for the UK & Ireland to assist in providing the best transactional media measurement and analytical services in the marketplace. The Gringo Gazette in Cabo San Lucas, Mexico, has signed on with WWM to provide local showtimes and movie information to travelers in their tourist e-newsletter. Gringo Gazette is Baja's only English speaking newspaper. Movies Havasu of Lake Havasu City, Arizona has chosen WWM to coordinate their digital marketing services, contracting for a newly designed website, a new mobile website, and a customized email newsletter program. The North Coast Journal, covering the politics, people & art of Humboldt County, California is the most recent publication to sign up for WWM's Movie Showtimes for their print and online editions. Traveling to CinemaCon in Las Vegas April 15-18? Stop by our booth #914-F and say hello to the WWM marketing team and hear about the hottest new product, Mobile Site 3.0. To make a specific appointment time during the show, click here. WWM has recently expanded its long-standing partnership with Microsoft Corporation, adding showtimes content for Brazil, India, Japan and China. AmericanTowns.com, a leading provider of local information, has selected WWM to power their new Movie Showtimes and Movie Data features. AmericanTowns.com users can now search for local theaters and showtimes, and buy tickets all from the AmericanTowns.com website. HelloBrooklyn.com, the largest internet guide to Brooklyn, New York, has just contracted with WWM for movie showtimes and local event information in Brooklyn. HelloBrooklyn.com covers thousands of detailed listings of things to do, where to stay, where to eat, where to eat, where to shop and where to search for apartments or homes in all 76 Brooklyn neighborhoods. WWM is pleased to continue supplying the Foursquare community of "over 25 million people worldwide" with movie showtimes and movie guide content in the US, Canada, Mexico, UK, Spain, Argentina, Indonesia & Brazil. Exhibitors: Get ready for the big holiday releases and upgrade your Mobile Website now! WWM has just rolled-out an enhanced Mobile Website 3.0, designed and programmed for the latest phones including iPhone 5. Features include: GPS theatre locator, new cover flow style movie posters, new "Coming Soon" and "Advance Ticket" pages and is easily saved as iPhone web app. All the benefits of an app with none of the cost or hassle. WWM continues to expand its international showtimes coverage - this time with the launch of four new countries for the release of "The Hobbit: An Unexpected Journey," the first film in a trilogy from Warner Bros. WWM will provide showtimes across Hong Kong, Korea, Singapore & Thailand for a Facebook app developed by agency Gruvi Ltd.
Maluuba, the newest natural voice activated mobile search engine, has expanded services with WWM, now enabling their mobile users to search for movie showtimes and movie meta data in the UK, Australia, and New Zealand. WWM will launch showtimes in two new countries - Japan & Taiwan - for the release of the latest James Bond movie ‘Skyfall’ as part of Gruvi’s Facebook Showtimes app. WWM’s international showtimes coverage now extends to over 50 countries. WWM has partnered with online film portal MoviePilot to provide movie showtimes for cinemas in France, Germany, United Kingdom & Poland. WWM movie listings will be used to power ‘Cinema Apps’ for iPhones & Android smartphones. London-based marketing agency TouchTab Media has chosen WWM to provide UK showtimes for the launch of a new mobile marketing platform, which includes ‘cinema search’ for individual movie releases. HotbutteredPopcorn.com is launching national movie showtimes with WWM's content. The hotly anticipated national release of the website is expecting to rival the top movie sites in the US and so working with WWM was a guaranteed fit. WWM customer, Poynt Corporation, has recently expanded their services with WWM to receive movie showtimes in Germany. Poynt ("Where can we poynt you today?") is a global leader in mobile local search and advertising, enabling users to connect with the people, businesses and events most important to them. WWM and Poynt are currently working together to get Poynt users to the movies across many domestic and international territories. Southern Theatres, owner-operator of The Grand Theatres & AmStar Cinemas selected WWM for a multitude of new marketing services including the design of two new Primary Websites and Mobile Websites, as well as maintaining their Loyalty Program, Facebook Fan Pages, Twitter and Pinterest Accounts. A customer since 2008, WWM currently manages Southern Theatres’ E-mail Newsletter Program, creates their Newspaper Directory Ads and hosts/maintains their Mobile Website. Southern Theatres operates more than 20 locations in AL, FL, GA, KY, LA, MS, NC, SC and TX. Heading to Atlanta's Chateau Elan August 21-22 for ShowSouth? Stop at WWM Booth 73 and chat with Michael Lourie, VP-Sales, to learn about WWM's latest marketing services tailor-made for the film exhibition industry. To reserve a specific appointment time, click here. Flagship Media Group, publisher of The Big List, Northern Ireland’s leading entertainment website, has turned to WWM for cinema listings, movie guide content and movie reviews. WWM has partnered with Social Marketing Company Gruvi Ltd to provide showtimes for a new Facebook application for The Amazing Spider-Man. The Facebook app will display local showtimes across 15 countries, allowing fans to search for their nearest cinema and share the trailer and showtimes on the news feeds of their friends. The Detroit News and The Detroit Free Press recently launched a Mobile 'Movie Finder' created and hosted by WWM. The custom-built mobile app contains movie showtimes, mobile multimedia, GPS tracking and ticketing to cover the entire state of Michigan. NCG Cinemas have expanded their marketing services with WWM, recently signing on for a custom-designed Official Facebook Fan Page for their entire circuit. Headquartered in Owosso, Michigan, NCG Cinemas operates 14 locations in Michigan, Georgia, Tennessee and Indiana. The Denver Post has recently teamed up to launch an Events Calendar in the Boulder/Denver print edition of the "The Onion". WWM will be working with local venues and local acts to provide both editorial coverage and listings of the hottest Music and Comedy events in the Denver area. Fridley Theatres, one of North America's Top 50 Giants of Exhibition, has selected WWM to update Showtimes Data on their primary Website, coordinate their weekly E-mail Newsletter Program, update their official Facebook Fan Page and create their Mobile-Ready Website. Operating 95 screens in Iowa and Nebraska, Fridley Theatres is a family-owned business that strives to bring quality motion picture entertainment at fair prices to the communities it serves. Clearview Cinemas, owned and operated by Cablevision (one of the US's leading media and entertainment companies) has just launched a WWM designed new primary website. A customer since 2010, WWM currently manages Clearview's weekly e-mail newsletter program and hosts, updates their primary and mobile websites. Clearview Cinemas operates 47 locations, 242 screens in NJ, NY and PA.
WWM has developed a new type of Facebook App for Universal Pictures UK. The new ‘Cinema Listings’ app is on the main Facebook page and displays key movie details and local showtimes for multiple titles. The app has been custom designed to display showtimes for all Universal movies on current release. WWM has just been awarded the website design for Digiplex Destinations. Based in New Jersey, Digiplex Destinations currently relies on WWM for a full range of exhibitor marketing products and services. Founded in 2010 by pioneers of the film exhibition industry, Digiplex Destinations is "dedicated to transforming movie theaters into interactive entertainment centers." Georgia Theatre Company (GTC), North America's #15 Giant of Exhibition, has selected WWM to coordinate their weekly e-mail newsletter program, to update their corporate Facebook Fan Page, and to update the individual Facebook Fan Pages for each of their 30 locations. Operating 300 screens in GA, FL, SC, VA, GTC is a third generation, family-owned business for more than 85 years, with roots in the early days of film exhibition. WWM has partnered with creative agency Powster to launch a new Facebook App that allows fans to invite friends to the cinema. Fans can search for their nearest cinema and then post the movie trailer and showtimes on their wall or friends’ wall. Paramount Pictures International will use the ‘Cinema Invite’ app for the film release of The Dictator across 14 global markets, including UK, Australia, Germany, France, Italy, Spain, Brazil and Mexico. Paramount has previously used the ‘Cinema Invite’ app for the release of ‘Mission Impossible: Ghost Protocol’. RichmondMovies.com is adding Local Events to their site and they have chosen West World Media to provide the additional content through a fully hosted calendar application. Heading to CinemaCon in Las Vegas April 23-26? Visit Booth 231 and say hello to the WWM marketing team. Or, click here to book an appointment during the show for a Free Marketing Consultation & Analysis. Break Media has selected West World Media to power their Movie Showtimes and Movie Information listings on their Break.com and Screenjunkies.com portals and associated applications. Santikos Theatres, the only locally-owned and operated theatre circuit in South Texas, has just contracted for the entire suite of WWM's marketing services. An email newsletter customer since 2009, Santikos recently added a new Website, Mobile-Ready Website, Facebook Showtimes Application and Newspaper Directory Ads. Santikos, based in San Antonio, operates 8 theatres,104 screens. Five IMAX Theatres: Great Clips IMAX Theatre, IMAX Theatre at the Indiana State Museum, Navy Pier IMAX Theatre, IMAX Theatre Palisades Center & Esquire IMAX Theatre – are the most recent IMAX locations to add a WWM-created Mobile-Ready Website. Now their patrons can access showtimes, trailers, online ticketing from any web-enabled mobile phone. The global IMAX theatre network delivers the world's most unique cinematic presentations using proprietary IMAX, IMAX 3D, and IMAX DMR technology. MJR Theatres, based in Michigan, is the latest "Giant of Exhibition" to sign on for a WWM-created Facebook Showtimes Application. With over 30 years in the industry, MJR has become one of the most trusted names in Metro Detroit movie going. WWM proudly serves 43 of the top 50 US "Giants of Exhibition." Lions Gate UK will launch WWM's Facebook Application as part of its social marketing campaign for The Hunger Games, one of 2012's Top 10 Most Anticipated Movies. The custom-built showtimes app will be located on the official movie fan page and will display showtimes in the UK & Ireland. Fans will be invited to ‘Like’ and ‘Share’ the app and will be able to find their nearest showtimes. Are you Spartan Tough? Spartan Race specializing in Obstacle Racing since 2005, has signed with WWM for esXpress service to publicize their tough endurance events throughout the US and Canada. Sulekha.com, the website that "helps a billion plus Indians satisfy their many local needs in the quickest, smartest way possible," has expanded its partnership with WWM and added Movie Showtimes for the entire country of India. TeleCommunication Systems, Inc. (TCS) headquartered in Annapolis MD, is a world leader in "highly reliable and secure mobile communication technology" in the US and internationally. They have just broadened their coverage in South America, contracting for WWM's movie showtimes content in Argentina, Chile, Colombia, Peru and Venezuela. Rainbow Cinemas & Magic Lantern Theatres, a 16-location circuit with theatres across Canada, has adopted WWM’s showtimes management tool, csXpress, to help manage their showtimes information. csXpress provides 24/7 access to WWM's database and allows for mid-week changes, edits, or additions to the Showtimes Data that is distributed to the most heavily visited sites worldwide. WWM has been contracted by international distributor Entertainment One to develop Facebook Showtimes Applications for 10 upcoming Entertainment One releases. The custom-built apps will be on the official movie fan pages and display showtimes for the UK & Ireland. One app is currently live on the official UK fan page for The Twilight Saga: Breaking Dawn. RealD, a leading global licensor of 3-D technologies, has expanded its relationship with WWM by contracting for all RealD theatre showtimes in all global markets, adding to current showtimes coverage in the US, Canada and UK. National Amusements, "a world leader in the motion picture exhibition industry," operating movie screens in the US, UK & Latin America under the brands: Showcase Cinemas, Multiplex & Cinema de Lux, has just launched a new Facebook application custom-built and powered by WWM, just in time for the holiday season. The Smithsonian Institution in Washington, DC is expanding its relationship with WWM, adding movie showtimes data to its new website. In addition, The Smithsonian's Museums of Asian Art, the Freer Gallery of Art & Arthur M. Sackler Gallery (http://www.asia.si.edu/) have adopted WWM's showtimes and events management tools - csXpress, and esXpress - to help manage their movie showtimes and events information. csXpress & esXpress provide 24/7 access to the WWM database, allowing for mid-week changes, edits, or additions to showtimes & events data that is distributed to the most heavily-visited sites in the US. WWM has developed a Facebook Showtimes Application for StudioCanal UK. The custom-built app sits on the official movie fan page and displays showtimes for the UK & Ireland. Fans are invited to 'Like' and 'Share' the app and can find their nearest showtimes by entering their postcode or town. The showtimes app is live on the following movie fan pages: Tinker Tailor Soldier Spy, Tyrannosaur and Don't Be Afraid of the Dark. West World Media was selected by Toyota to get people to the movies, using their Entune data and navigation product for new 2012 models. From the dashboard of their cars, Toyota drivers will have real-time access to movie showtimes and live ticketing from Movietickets.com. West World Media has just launched a Facebook Application for Omniplex Cinemas - Ireland’s leading film exhibition group. The app displays showtimes and ticketing links, as well as movie information across 24 Omniplex locations. Trade Show season continues. WWM's VP of Sales, Michael Lourie, is heading to CineShow 2011 in Frisco, Texas on September 13 & 14. Visit Booth #15 to learn more about WWM's hottest-selling exhibitor marketing services: Exhibitor Facebook Applications and Mobile Websites. Going to ShowSouth? WWM's VP Sales & Business Dev, Hasaun Harris & VP Operations, James Devin, will be attending the annual ShowSouth trade show at Château Élan, Atlanta on August 23 & 24. Stop by to chat about WWM's latest marketing products developed for the film exhibition industry. DataSphere Technologies, a provider of hyper-local web technologies for media companies, has signed on with West World Media. WWM will be providing local event listings and information to DataSphere to populate their interactive calendar across their media partner network. What do these long-time WWM clients/theatres have in common? Cinema Cafe in VA, Patriot Cinemas in MA, Vintage Cinemas in LA, Inner City/ICE Theaters in IL? All have just signed on for additional WWM services to enhance their overall marketing strategy: mobile websites, Facebook Showtimes Applications, csXpress, and 12-pack of Email Newsletters. Call or email for more info to add (or begin) one of WWM's customized programs. WWM Global Showtimes Update: 2 of the world's largest movie-going countries - India and Brazil - are now fully launched. WWM offers full showtimes and movie guide content for both. Wolfram|Alpha,a "computational knowledge engine" launched in 2009, has just signed with WWM for US MovieShowtimes & MovieGuide. This Champaign, IL company has introduced a new way to get knowledge and answers – not by searching the web, but by doing "dynamic computations based on a vast collection of built-in data, algorithms, and methods." Visit http://www.wolframalpha.com/ to find answers to questions; do math; instantly get facts—and more. The world-famous Grauman's Chinese Theatre in Hollywood, California has chosen WWM to create a customized "Showtimes Box" and provide Movie Guide Data for its website. Opened May 18, 1927 with the premiere of Cecil B. DeMille's The King of Kings, the Chinese Theatre has been the venue for countless spectacular film premieres. Pasatiempo, the weekly Arts and Entertainment Magazine published by The Santa Fe New Mexican, has signed on with West World Media to provide local movie showtimes to their readers. Entertainment Media Networks Ltd, Ireland's most popular online entertainment resource, has turned to West World Media for local showtimes and movie information for the launch of its new London entertainment guide MajorMo www.majormo.co.uk. Waxwired Ltd, the London-based technology company, has chosen West World Media to supply US event listings for a new app called Flypost available for the iPhone. Flypost is a location-based application that displays local events which are happening right now where you are. With the warmer weather finally upon us in the US, "drive-in theatre season" has officially arrived. Many re-opening drive-in theatres have recently turned to WWM for their marketing needs. To name just a few: Skyline Drive-In in Indiana has subscribed to WWM's showtimes management & distribution tool, CSX; Field of Dreams Drive-In Theatres in Ohio now on board with weekly e-mail newsletters; Mendon Drive-In in Massachusetts has signed for a Facebook Showtimes App; and Dependable Drive-In in Pennsylvania has gone live with CSX and a mobile website. "The world goes to the movies. The movie world goes to CinemaCon." Are you an Exhibitor bound for Las Vegas March 28-31? Grab the chance for a free consultation & analysis of your current marketing strategy with one of WWM's resident experts: Michael Lourie, James Devin and Scott Hanlon. Appointments being made for March 28-30. Click here for more details. WWM has developed a Facebook Showtimes Application for Sony Pictures UK. The custom-built app sits on the official movie fan page and displays showtimes for the UK & Ireland. Fans are invited to 'Like' and 'Share' the app and can find their nearest showtimes by entering their postcode or town. The showtimes app is live on the Battle: Los Angeles fan page. USA Luge launched an updated and improved version of its website www.usaluge.org, and unveiled a new logo. West World Media, the team's official electronic publications supplier, brought both projects to fruition. "Thanks to West World Media, USA Luge has been able to provide our fans with fresher content using the most up-to-date technology," said Ron Rossi, USA Luge CEO. "There aren't many other sport governing bodies that have a website and tools for their fans like the live event timing and scoring module." WWM has just been awarded the website design for Bogart's Bar & Grill restaurants, located inside Muvico Theaters' Rosemont 18 (IL) and Thousand Oaks 14 (CA) locations. Muvico currently relies on WWM for a full range of exhibitor marketing products and services. Quantum Loyalty Solutions, a long-time customer of WWM's movie Showtimes & MovieGuide data, has expanded the partnership by adding Spanish language and French Canadian versions of WWM's MovieGuide content. Quantum Loyalty Solutions' reward program Hollywood Movie Money is in place across multiple global markets: Mexico, Colombia, Australia, New Zealand, UK, Italy, Spain, Portugal Brazil, Canada and the US. West World Media will be exhibiting at the leading European event of the call center industry, CallCenterWorld 2011, taking place February 21-25 at Berlin's Estrel Convention Center. Visit stand A2a in Hall 1.1 to chat with Hasaun Harris, WWM's VP of Sales & Business Development and Nick Patsides, WWM's UK Commercial Director. West World Media has been chosen to design, build and maintain Facebook applications for all 19 Picturehouse Cinema locations across the UK. Picturehouse is the leading independent cinema operator in the UK. West World Media customer Poynt has been featured in a national BlackBerry® TV commercial featuring BlackBerry App World™. The 30 second commercial showcases Poynt’s “Super App” which enables users to search for local movie times, view movie trailers, and purchase movie tickets from their BlackBerry smartphone. WWM supplies the movie related content and ticketing function to Poynt. OneDerr has added WWM's event listings in 13 markets across the US & Canada, to go along with movie showtimes & movie guide content already provided in those markets. OneDerr's New York City application, NYC Way, was the only app to win three awards at the NYC Big Apps Competition including popular choice and investors' choice. West World Media announces an agreement to become IMAX.com’s worldwide aggregator and provider of movie showtimes content and related movie content. The worldwide IMAX theatre network is among the most important and successful theatrical distribution platforms for major films around the globe, with IMAX theatres delivering the world's most unique cinematic presentations using proprietary IMAX, IMAX 3D, and IMAX DMR technology. The Washington Post is expanding its relationship with WWM by adding movie showtimes content for its publication Express and its online counterpart “Express Night Out” www.expressnightout.com. Express delivers details on the best movies, music, restaurants, bars, and other events in the Washington, DC metro area. Future Publishing, the international special interest media group with more than 180 publications, has chosen WWM to supply UK & Irish showtimes and movie content for Total Film, one of its biggest selling magazines. The Total Film iPhone app will showcase a local cinema finder, movie details and streaming trailers. WWM and Poynt Corporation have teamed up once again, this time for movie listings across Australia. Poynt is the popular, multi-award winning mobile local search application. Launched! Krikorian Premiere Theatres' newly-built website www.kptmovies.com, maintained, hosted and powered by WWM content. The new site boasts the "KPT Movie Mall" where patrons may purchase premiere tickets, gift cards and snack passes. Krikorian operates 7 locations in the LA and San Diego metro areas. West World Media is now providing movie showtimes for Israel, in 4 languages: Hebrew, Russian, Arabic and English. CalgaryMovies.com, a website providing movie information, theatre information and movie reviews for the Calgary market, has tapped WWM to supply movie showtimes and related movie information. Circles (www.circles.com), a Sodexo company, is the newest licensee of WWM’s Events Data. Circles is licensing hyper local events data in 13 markets across the US including NY, LA, Boston, Las Vegas, Miami, Chicago, San Francisco, Houston, Dallas, DC, Atlanta, Philadelphia & Orlando. Sulekha.com, a website “Connecting Indians Worldwide,” has tapped WWM to supply US-based Indian movie showtimes and movie guide information. The Washington Post, the fifth largest newspaper in the US by circulation, and widely regarded as a leading daily American newspaper, has added WWM’s movie showtimes to daily print editions. CityLocal “a UK Business Directory & Guide run by local people for local people” has chosen West World Media to supply UK & Irish showtimes and movie content across its entire network. CinePointe 6 in Ogden, UT & Lakeshore Cinemas in Lakeshore, Ontario are two recent exhibitors that have joined the Online Social Media “revolution” and signed on to Facebook and Twitter updating services provided by WWM. West World Media announces a multi-year agreement to become IMDb.com’s exclusive worldwide provider of movie showtimes content. Beginning immediately, WWM will provide movie showtimes and related movie content for IMDb users in the U.S. Read more. James Devin and Nick Patsides of West World Media will be attending Cinema Expo International June 21-24 in Amsterdam RAI. Please stop by Booth #138 and say Hello, Bonjour, Buenos días or Buon giorno! Classic Cinemas, based in Downers Grove, IL, has added Newspaper Directory Ads to the marketing services they receive from West World Media. Classic Cinemas operates 88 screens in 13 theatres throughout the state of Illinois. Reading International, operator of 26 US cinema locations, and Muvico Theaters, operator of 10 US cinema locations, have both recently upgraded Directory Ad providers by switching to WWM. WWM will be supplying movie showtimes and sports listings for the entire state of Maine to Maine News Simply www.Newssimply.com, a new website featuring "today's breaking Maine news." Vanguardia.com.mx, based in Saltillo, México, has signed on with WWM for local showtimes and movie content for their online and print editions. Vanguardia.com.mx, con sede en Saltillo, Coahuila México, ha firmado con WWM para recibir información de cartelera de cine local, para publicación en sus ediciones en línea e impresa. Vanguardia es el sitio líder del norte de México para noticias al instante, abarcando información especializada en Coahuila y empleando a los columnistas más importantes de México. Northeast Cinemas LLC of MA has expanded its WWM-provided marketing services, contracting for a newly designed website, a new mobile website, and a customized email newsletter program to go along with their weekly print directory ads. Nashville Scene www.nashvillescene.com, Nashville's "first successful alternative newsweekly" with commentary, news and reviews of local arts and entertainment, has tapped WWM to supply movie showtimes and movie guide information for the Nashville market. Clearview Cinemas, owned and operated by Cablevision (one of the nation's leading media and entertainment companies) and home to Manhattan's famed Ziegfeld Theatre has selected WWM to coordinate their Weekly Email Newsletter Program, host and update their Website and build their Mobile Website. Clearview Cinemas operates 48 locations, 258 screens in New Jersey, New York and Pennsylvania. Eye Weekly Newspapers, a division of Toronto Star Newspapers, has selected WWM to provide movie showtimes and related movie content for the Toronto, Ontario market. WWM content will be used for the print, web and wireless version of the Eye Weekly. Paramount Pictures International will be relying on West World Media to provide showtimes in France for the official release of Iron Man 2 on April 28. MaineToday.com is the most recent site to upgrade providers by choosing West World Media for their movie showtimes and entertainment listings. Drive-in season is here! Town & Country Drive-in in Texas and US 23 Drive-in in Michigan have just joined the many drive-ins who have chosen WWM to design (or re-design) their current website, to add a mobile website or to send weekly email newsletters to patrons. Look forward to seeing you in Las Vegas at ShoWest March 15-18. Stop by Booth 1623 to check-out WWM’s latest exhibitor marketing innovations. Krikorian Premiere Theatres, a “leader in modern yet elegantly refined megaplex-style theatres” has selected WWM to design and build their E-commerce and Content Management Systems, and to host their upcoming newly-redesigned portal www.kptmovies.com. Krikorian operates 8 locations, 105 screens in the Los Angeles and San Diego metro areas. The IMAX Theatre at the Maryland Science Center has adopted WWM’s showtimes management tool, csXpress, to help manage the showtimes information for their IMAX Theatre. csXpress provides 24/7 access to the WWM database and allows for mid-week changes, edits, or additions to the Showtimes Data that is distributed to the most heavily visited sites in the US. WWM's latest movie theatre marketing tool has been adopted by two more Exhibitors. Florida-based Muvico Theaters and New York's Carmel Movie Theater both added mobile device optimization to their existing websites. Now their patrons can access showtimes, trailers, online ticketing from any web-enabled mobile phone. Connecticut-based newspapers The Hour and The Wilton Villager have launched a WWM-hosted movie and events calendar, becoming the latest media outlets to come onboard for WWM’s “one-stop-shop solution” for entertainment listings. WWM makes it seamless and easy to display hyper local content within existing websites. iPhoneAppSolutions, “the leading iPhone application development company that delivers custom products on time and within budget limitations,” has contracted with WWM to provide movie showtimes and movie-related information for the UK, US and Republic of Ireland. Pacific Theatres, based in Los Angeles, switches to WWM to produce their directory ads in order to take advantage of WWM’s cutting edge data compilation technology, ad proofing software, and personalized customer service. EventsAbout in Canada! EventsAbout, WWM's fully hosted local events and movie showtimes platform, is expanding internationally for Examiner.com. WWM will be supplying Examiner.com with robust 'what's going on around town listings' for Canada's top markets: Toronto, Montreal, Ottawa, Calgary and Vancouver. WWM's Event-Source division is now strongly on the entertainment listings map in Canada. Yahoo! reinforced its partnership with West World Media by recently contracting for Spanish-speaking Latin America content. WWM will develop and host Yahoo! Hispanic Americas movie channels and supply movie showtimes, movie guide, box office charts and trailers. Countries included are Argentina, Mexico, Peru, Chile, Colombia, Venezuela and all Spanish-speaking US. Washington Post - www.washingtonpost.com has upgraded their movie showtimes supplier in signing with West World Media. Google goes live with WWM showtimes data in Norway. West Wind Drive-In now boasts a mobile website designed by West World Media. WWM offers two different mobile versions to accommodate a range of phones – one is text-based, one works with Opera browsers and iPhones. Digital Spy, a Hachette Filipacchi website in the UK, has turned to WWM for UK and Ireland cinema listings, movie guide content and movie reviews. Acorn Newspapers in Agoura Hills has chosen WWM to provide printed movie showtimes for 5 community newspapers in southern California. WWM has just celebrated its 300th exhibitor contract for marketing services. 7 of the nation’s top 10 exhibitors rely on WWM for their marketing needs. West World Media is the world leader in movie showtimes listings and movie-related data. We cover every screen in more than 60 countries. in-depth national database of local event listings, covering more than 200 markets in the U.S. and Canada. Hosted Mobile Platform now available! West World Media is the industry leader in entertainment venue marketing services, covering all forms of electronic, print and social marketing. Click on one of our customer's logos to see applications powered by West World Media data!